Established in 1973 by the Benedini family in Verona and subsequently relocated to Mantua, Agape owes much of its aesthetics, innovation and passion to its crucial geographical position between Milan, Veneto and Emilia. Founded with the vocation of creating new ways of interpreting the bathroom, the company today sets a benchmark for contemporary furniture. Under Agape’s expert guidance the bathroom shifts from functional space to emotional centre of the home, becoming a dynamic and rejuvenating environment devoted to personal wellbeing. Since its beginning, an innate talent for design combined with a desire for exchange and dialogue with the very best in Italian manufacture have made Agape one of the most interesting examples of the Made in Italy brand. Over time the company has established an extensive network of partnerships with industries and craftsmen with whom it shares a passion for quality and innovation. Aesthetics, passion and innovation. New ways to enjoy space and time of bathing since 1973. 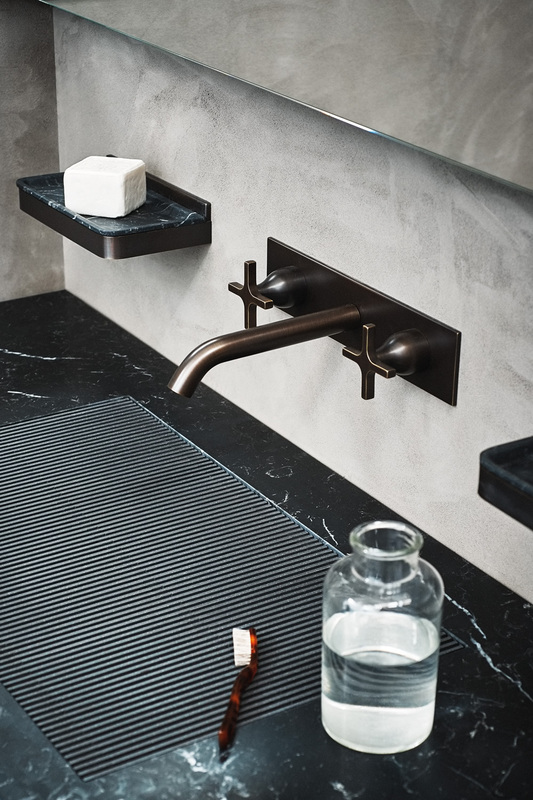 Romantic and elegant, the Ottocento washbasin revisits the shapes of a remote past, for installation with modern versatility in any space and context. Made in Cristalplant® biobased, it is available in white and in two dual colour versions: white and light grey, or white and dark grey. Memory blends tradition with modernity, giving a collection inspired by the past to complete and customise the contemporary bathroom. 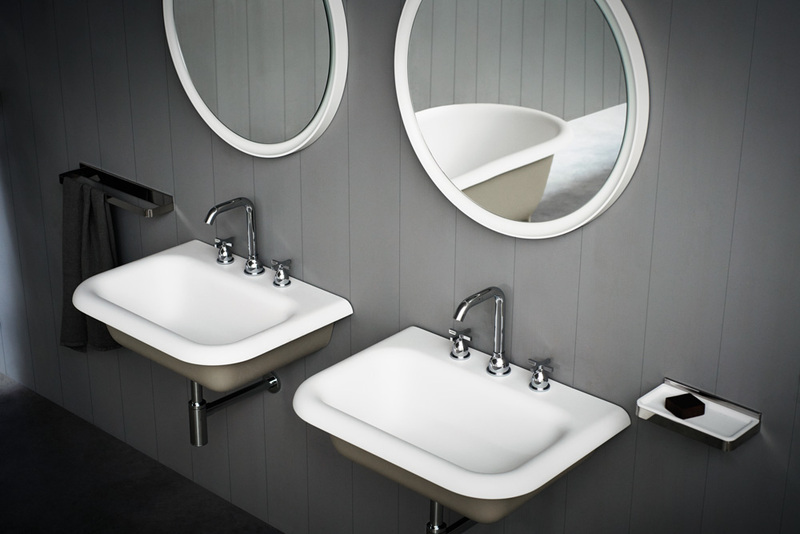 Brass tapware with natural brushed, chromed, burnished and brushed finish or painted matt white or matt black, with characteristic cross shaped handles. The sanitary fittings in the Memory collection bring back the atmosphere of traditional bathrooms, idealizing the sinuous forms of bygone times to create a new fusion between past and present. 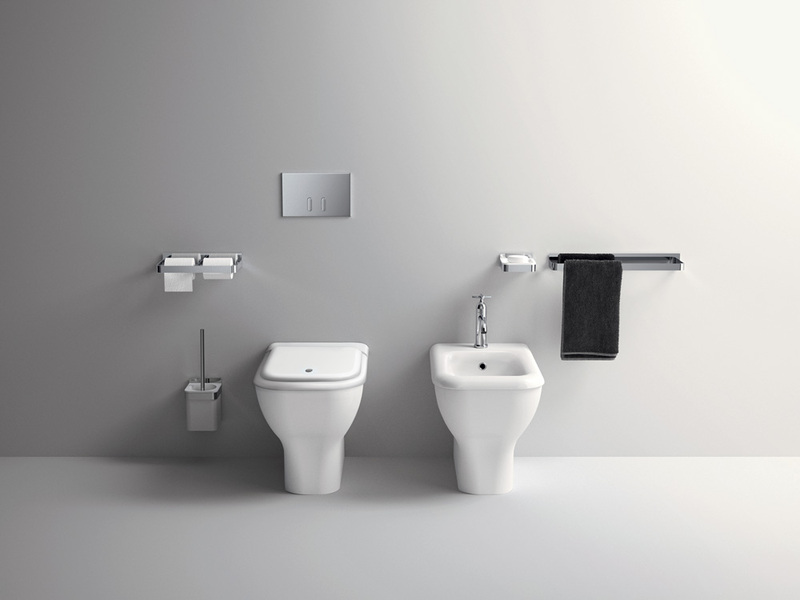 WC and bidet in white ceramics or in two colours with dark grey or light grey external surface, available in floor standing or wall mounted model.